Florence Emily Swiscoski, loving wife, mother, grandmother, great grandmother, sister, aunt and friend passed away in the early morning of December 31st, 2018 with family by her side. Florence was born on August 26, 1934 in the Clanwilliam Municipality to John Emil and Emmy Larson and was raised on the family farm at Hilltop along with her five siblings. 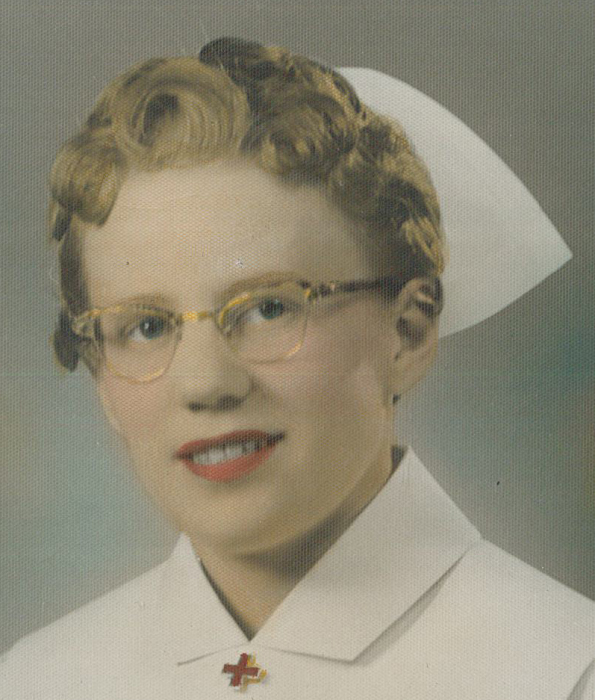 After completing high school in Erickson, she began her nursing degree at Brandon General Hospital in 1953 and graduated as a registered nurse in 1956 with a gold medal for receiving the highest marks in her class, a distinction of which she was very proud. In 1963 she accepted the position of Director of Nursing at Erickson Hospital which she held for 27 years. During the final stage of her career Florence was instrumental in helping to plan the new Erickson Health Center where she worked for the final year of her nursing career, before retiring in 1990. While nursing in Kamloops Florence met and married Daniel McDonald with whom she had three daughters; Sherri in 1961, Wendy in 1962 and Melanie in 1965. She raised her girls with love and devotion as a single mother, busy in their activities of figure skating, 4-H, curling and school sports. Florence’s family were thrilled when she married Fred Swiscoski in 1984 and together they built their home where so many family and friends gathered to enjoy holiday celebrations, reunions and simple drop in visits. Florence enjoyed travelling throughout the years across Canada and many trips abroad. She and Fred also enjoyed many summers camping in their 5th wheel, often joined by their grandchildren to enjoy fishing and spending time with Gramma and Poppa. Other hobbies included reading, cooking, gardening, fashion, and keeping her home welcoming to all. 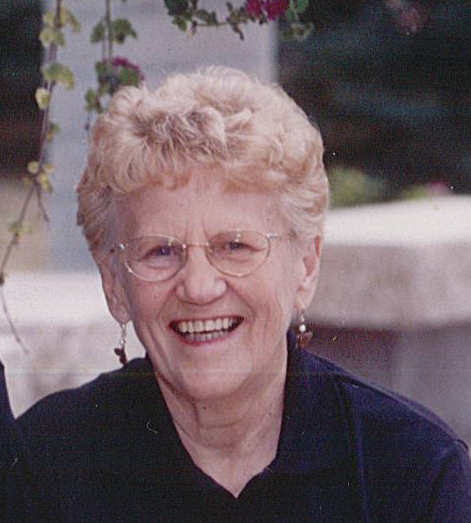 Florence was deeply involved in the Erickson community as a volunteer, 4-H instructor, Legion member, hospital auxiliary executive, palliative care committee member just to name a few. She was always so proud to represent the community she loved. Florence had incredible strength during all the many health challenges she had to face. She accepted these with grace and calmness, which was so admirable. Protecting her loved ones from the hurt was her unselfish way. Florence was pre-deceased by her parents Emil and Emmy, brothers Roger and Lawrence, and her sister Edna, along with Fred’s parents John and Nellie, brother Alex, and sister Rosie. She will be greatly missed by Fred her husband of 34 years, daughters Sherri (Brian) Fleming, Wendy (Jim) Stolk, and Melanie McDonald (Allan Arnsdorf), grandson Brad (Krystal) Fleming and their son Daxon, granddaughter Dani (Jason) Wood and children Hadley and Nash, granddaughter Teighan Fleming, grandsons Mack and Cade Arnold and Holden McDonald, brothers Gerald (Marilyn) and Del (Nora), sisters-in-law Leona Smith, Gertie Levandoski, Alex’s partner Evelyn, brothers-in-law Dave (Glenda), John (Pat), and Reg Eamer along with many loving nieces, nephews and community friends.